On the 31st of October I spoke at the Marketing Derby breakfast event, hosted by the University of Derby, to an audience of representatives from 60 of Derbyshire’s dynamic and vibrant businesses. 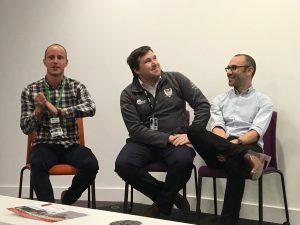 Chris Scothern of Ace Sameday Couriers chaired a panel discussion with experts from the record-breaking team and I, for an insight into what differentiated our project from previous attempts and produced our outstanding result. Joining me on the panel were physiologist Dr Mark Faghy and psychologist Dr Phil Clarke. The format of the event gave the audience multiple perspectives of the project, as I guided the discussion through obstacles we faced and the scientists brought their own points of view and expertise. 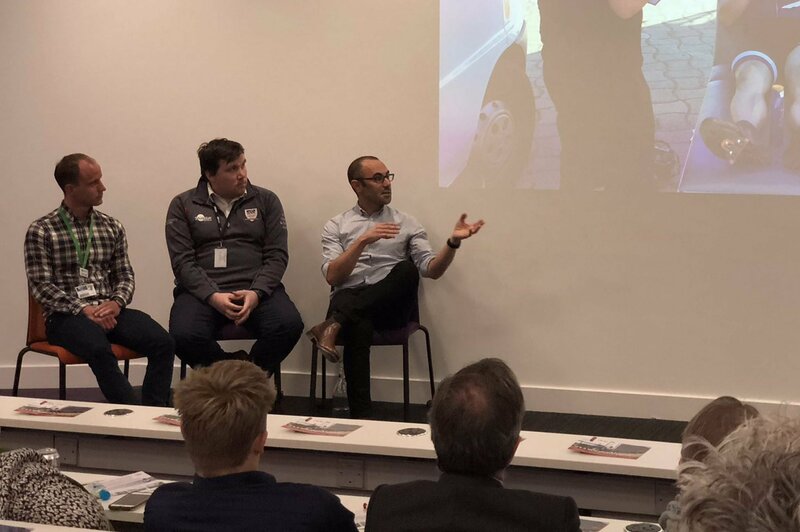 The strong rapport and energy of the panel reflected the group dynamic that characterised our project, echoing our message of building a team based not only on ability but on mindset and personality. Explaining the psychological interventions we used, Dr Phil Clarke described using simple methods to streamline everyday processes, promoting productivity and positivity. A key factor in creating an elite athlete’s lifestyle was my sleep routine, Dr Clarke stated “Sleep is the most powerful performance-enhancing drug – and has the most impact if used correctly”. Dr Mark Faghy explained the merit of reward and how, after weeks of difficult training, treating me to a Domino’s pizza increased my power by 15%. The audience left reassured that their weekend plans would be performance enhancing! Delegates took away lessons from an elite sports project that could be directly applied to achieving their own personal and business goals. Edward Hollands, MD of Driven Media said “The mentality behind the attempt is very similar to running a business. The motivation to dig deep when things aren’t going your way”.